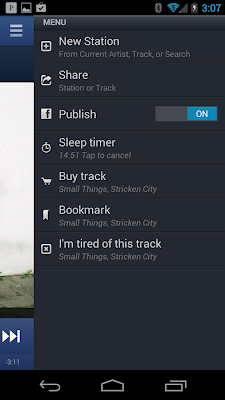 Pandora for Android, iPad and iPhone update brings Sleep Timer and NissanConnect features. 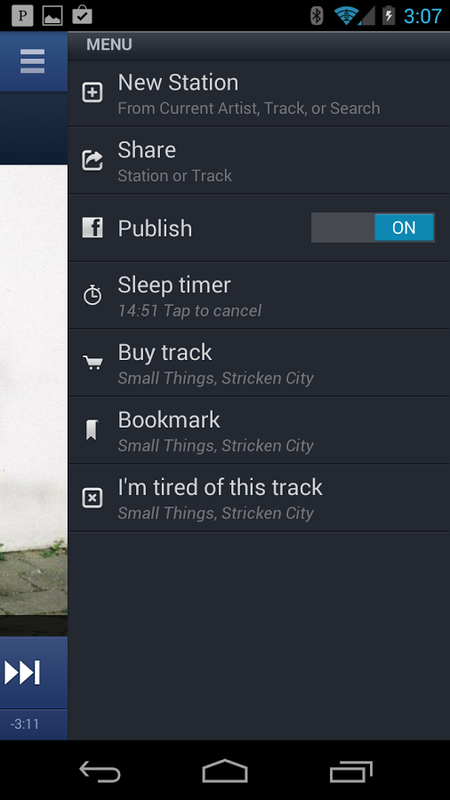 The new version of Pandora mobile app for both Android and iOS contains top-requested feature: a Sleep Timer. With the new Sleep Timer in version 4.5, you can now fall asleep to the sounds of your favorite Pandora stations. ﻿When listening to a station, you'll find the Sleep Timer in your options drawer in the top right screen corner. Just click the options link and select from 15, 30, or 60 minutes for your Sleep Timer. Then relax and drift off knowing Pandora will play just the right amount of music for you. + Fall asleep to the sounds of your favorite stations with our new Sleep Timer feature. Find the Sleep Timer in your options drawer in the top right screen corner and select from 15, 30, or 60 minutes. + Drift off knowing we'll play just the right amount of music for you. + Easily control your music using Nissan's touch screen or steering wheel controls in select Nissan vehicles that now support Pandora through the NissanConnect app.